This luxury camping site features top-notch facilities in a well-maintained, green and enjoyable environment. 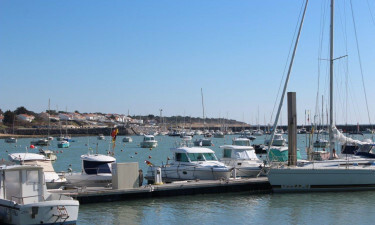 With oak tree forests and tranquil coastal air, families can relax and explore the Vendée region or stick to the luxury camping site's well provisioned facilities and activities programme. 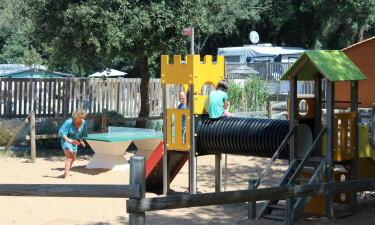 Why choose Camping La Ventouse? Outdoor gym and fitness sessions. Bouncy castles and play areas. 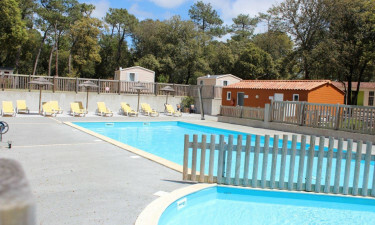 With a small and fully heated pool on-site, campers can enjoy dips, swims and poolside activities throughout the day. The pool area features a well-maintained solarium for relaxing sunbathing sessions and stays, with morning aerobics available.